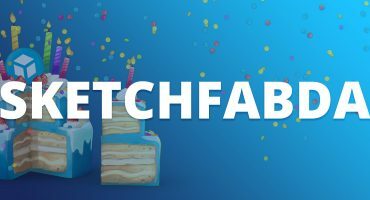 Since we started Sketchfab in 2012, we’ve been on a mission to help democratize 3D, and make it accessible everywhere. The first step in that mission has been provide a best in class 3D viewer, offering all 3D creators an easy and reliable way to publish and share their 3D content on the web. 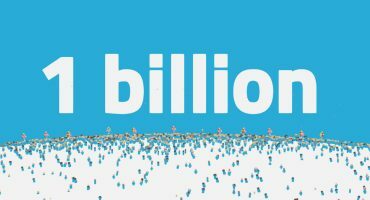 We now have more than 1.5M users who have shared over 2.5M 3D files on Sketchfab: we have become the go-to way to publish and share 3D content on the internet. With this growing library has come a growing demand for our content, and new ways to use it. With this scale and growing ecosystem, we can now look at content distribution in a new way. Bringing 3D content everywhere also means sharing it outside of Sketchfab, so that it can be used in more ways, and as part of bigger projects. That’s why I’m happy to announce today the release of our Download API: a solution to let any application integrate a Sketchfab search bar to browse a huge database of 3D models and import content. We’ve spent the past 6 years becoming a sharing feature in as many ways to create 3D content as we could, and are integrated with more than 100 3D tools today. We are now going to reverse the switch, and work on letting anyone search and import Sketchfab content from their favorite tool, making those integrations a 2-way street. We will become the de facto search bar for the 3D world. Alongside the release of our download API, we are happy to introduce import addons for Unity, Unreal and Godot, as well as native integrations with Torch3D, Minsight, Spatial stories, Selerio, StellarX, Valorem’s Holobeam, AnimVR, Plattar, Sketchbox3D and Looking Glass (check out full demos here). We are also working with a long list of other companies to integrate soon in many more applications, including Amazon Sumerian, Blender, Substance, Modo, Cinema 4D, Octane, HighFidelity, Aframe, Houdini, Sansar, Mimesys, The Wave VR, Masterpiece VR, Artomatix, Flipside VR, Blend Media, NormalVR, Vectary, Streem, and Meta. The API lets you search by titles, tags, categories, polygon count and more. In terms of content, the initial scope of the download API lets you import content available under a Creative Common license – more than 150,000 3D models available today – in glTF format. As a step two, we will also let you easily import your own content, as well as content you purchased on the Sketchfab store. If you are an app developer, you can check out our documentation here. 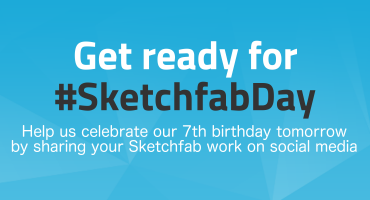 We can’t wait to see what you will create with the Sketchfab download API. Such a great news. Thank you! This sounds great & would be a great help to 3D Graphic Artists. I didn’t see Reallusion iClone listed as one of your partnering companies. I just got started with iClone – still in the learning phase, but I can see where this would be fantastic for this System. This is a huge improvement, Congratulations! What is the license of the plugins you are releasing? For example, Godot requires certain levels of freedom to post on their built in exchange platform for easy discovery, and blender requires a suitable license to include in its main release, so this is important to add. The Godot and Unity importers use the MIT license; Unreal is proprietary. I believe Blender requires plugins to be released as GPL. Great , and is it means we can view the models without the worry of transmission speed,we can use it fast in china? You’ll still need to download them to your computer, but after that, yes 🙂 And remember that this is only available for models that are downloadable. This is great ! Thanks ! I have noticed an issue while using the unity plugin: the package misses the GLTF\Linear2sRGB shader. Because of that the browser won’t start correctly when the player color settings is set to Linear. To reproduce just set your unity project player color settings to linear and try to open the browser. You should should see lots of errors in the log and the browser won’t update. IT’s like Sketch Up Warehouse but more improved? This means people have to protect their intellectual property designs >? How do you mean? The API will only offer models that the author made available for download under a Creative Commons license. This is a fantastic update! Great job you guys! I’ve been waiting for this for over a year! Thanks for being so quick to implement this. At some point, I imagine an add-on cost for large users. I am mostly interested in Aframe and how I can load in models.